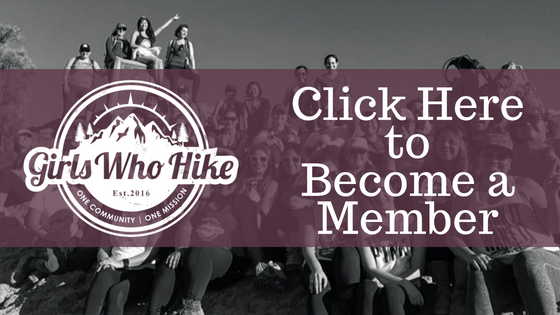 This Hike is led by new GWH Ambassadors Sarah Parmelee and Emily Hope! We are so excited to lead our first hike! Please get to the trail head at 8:30am, so we can head out promptly at 9am. Carpooling is encouraged for this event as parking is limited. There is a $5 entry fee/person or if you have a state park pass then your whole car gets in for free. Please come prepared for this hike with hiking boots, 4L of water, nutrient dense snack, and your 10 essentials as needed. While dogs are allowed, please make sure your dog is prepared for a hike of this magnitude – elderly dogs and puppies should stay at home. Please bring plenty of water for your dog. We will not be handing out punch cards at this event. They’re available through purchase of a New Member Kit only.